When you read the newspaper, the magazines, you may encounter various styles of write-ups under different topics, issues. They are technically classified as essays. I remember when I was in my high school days, we were required by our English teacher to write a composition about our favorite pet, how we spent our Christmas vacation, the unforgettable experience we have in our life, and many more. We were not aware that we are doing essay writing. 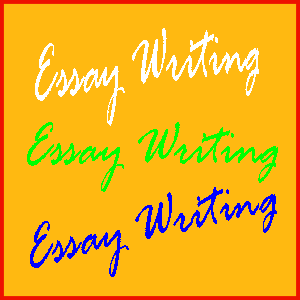 Essay is defined by Gale as a "prose composition with a focused subject of discussion". It could be a "long systematic discourse." What are the forms and styles of essay? In other development, writing a blog could be in anyway be patterned in essay writing. In so doing, bloggers could earn money from it. They may submit their links to Redgage which is considered as "a first-of-its-kind web site that pays people for their online content and monetizes their social activity."